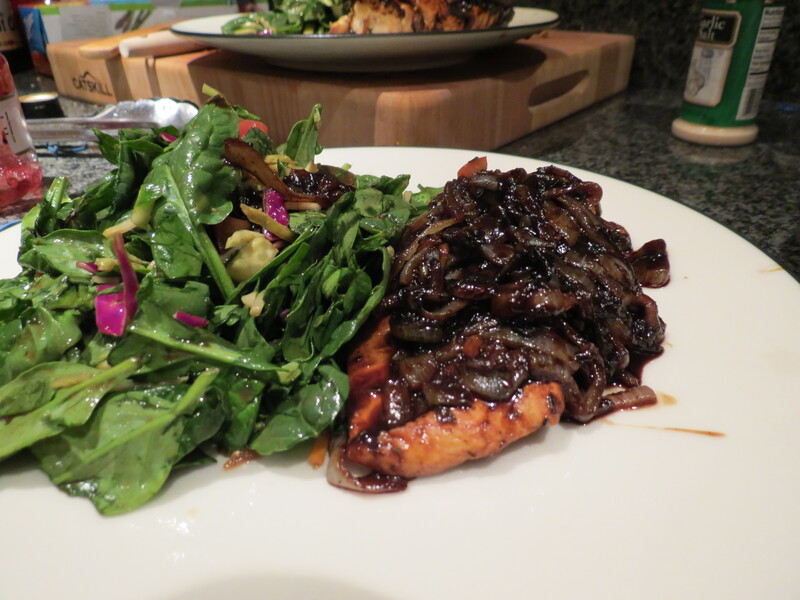 I wanted to name this post * Balsamic Chicken, but I thought that would make me a little too nerdy. * is a wildcard. When used it search, it can stand for anything. This recipe is the same way! This week I made raspberry balsamic chicken, but you could also make honey balsamic, maple balsamic, strawberry balsamic… you get the point. (Ok, so it’s still just as nerdy when I talk about it in the post) If you are a new cook or just someone looking to add an amazing go-to recipe to your repertoire, keep reading! 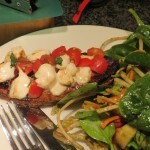 I discovered this recipe about 7 years ago and have been making it ever since. 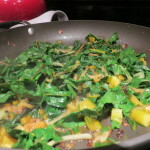 It is not a recipe I tweak much beyond the flavor of the sauce… which says a lot for me. This week, when I told my husband we were having an old classic, he knew exactly what I was talking about. Those are the kind of recipes that you pass down through generations. Now I am passing it down to you! 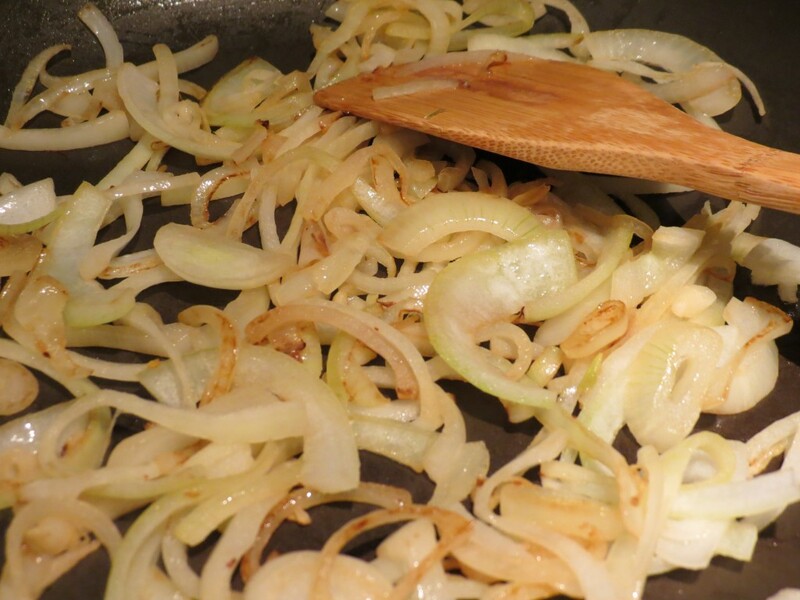 Heat onion and olive oil in a skillet over medium high heat, stirring occasionally until onions become translucent and browned in spots. This should take about 5-7 minutes. In the mean time, pat your chicken dry (this will help the spices stick to it and help it brown better). 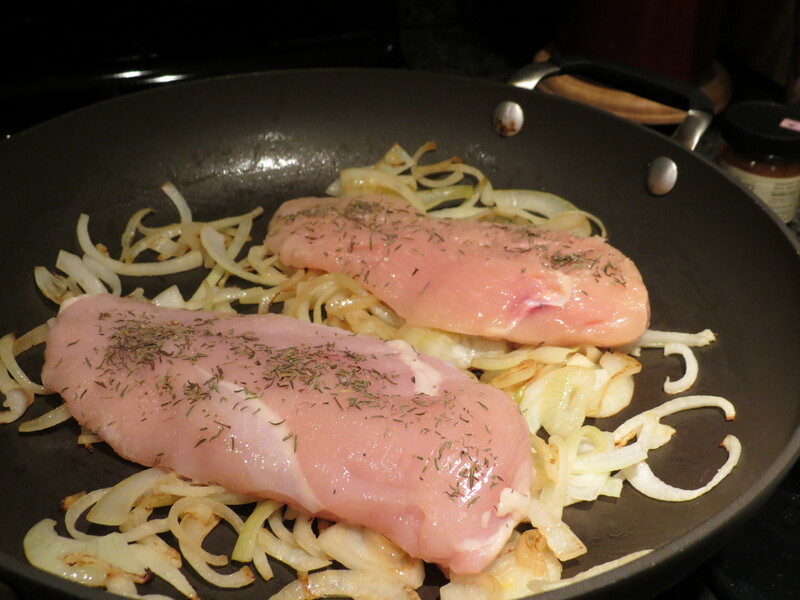 Sprinkle garlic salt and thyme on both sides of the chicken and add to pan on top of onions. Cover and cook for 4-5 minutes each side (depending on the thickness of your chicken). Covering the chicken is my trick to getting it to stay moist without having to cook it in the oven. 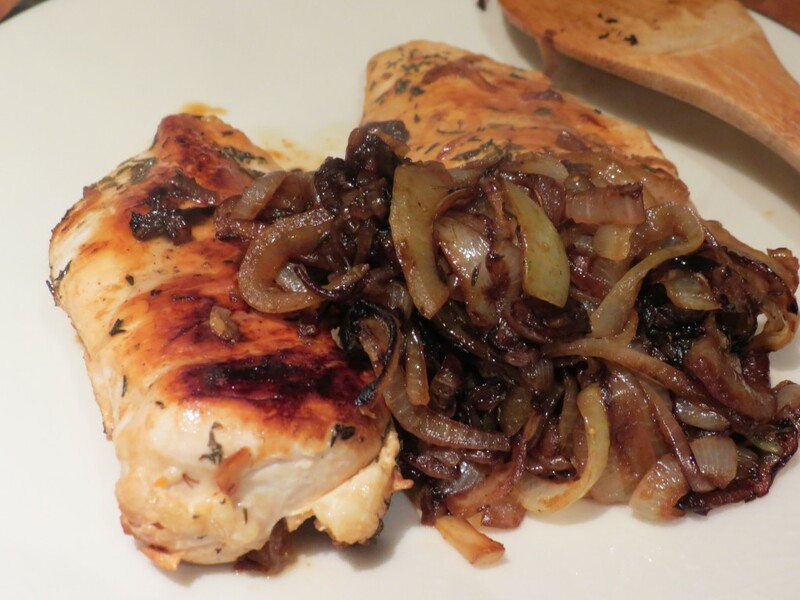 Once the chicken is cooked through, remove from pan with onions and set aside. 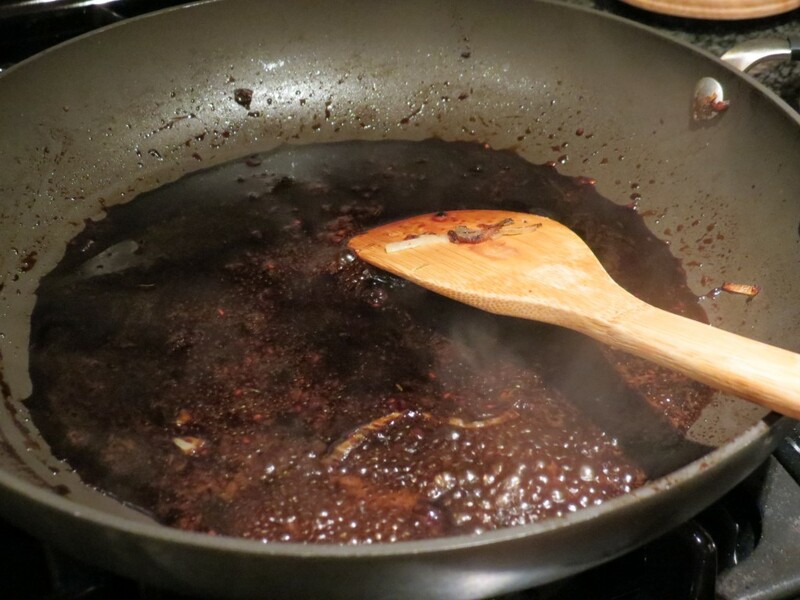 Now it’s time for the element that takes this dish to the next level: the balsamic sauce. 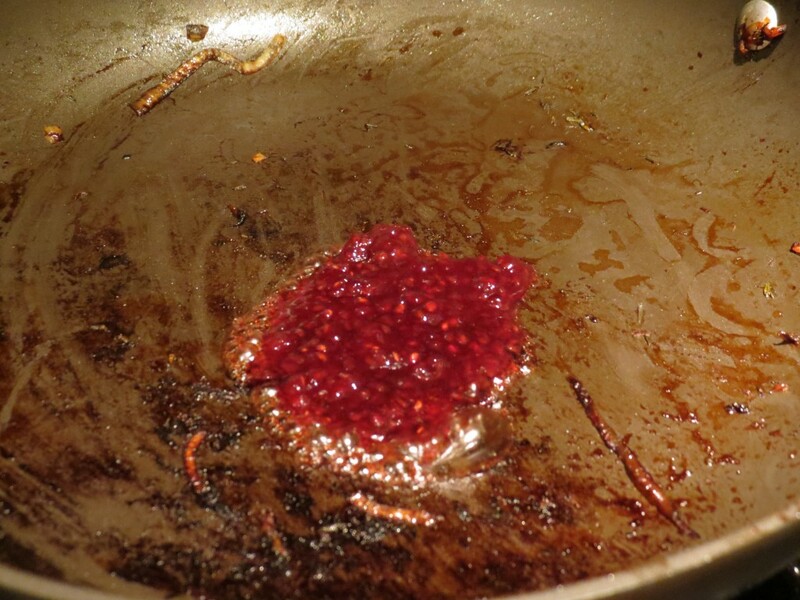 With the pan still on medium high heat, add jam (honey, maple syrup, etc) and let melt for about 20 seconds. 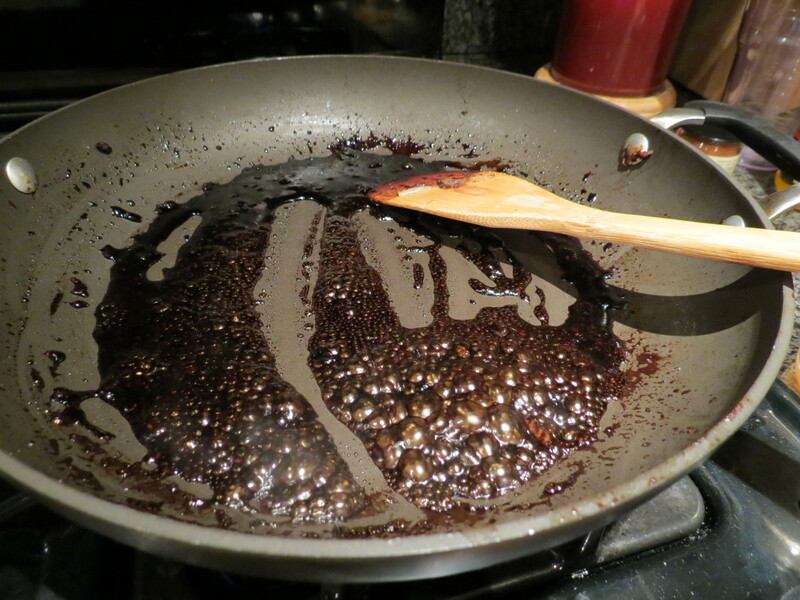 Next, add balsamic vinegar and stir to incorporate. Make sure to scrape up the chicken and onion that has stuck to the pan. This will add some nice depth of flavor to your sauce. Cook down for 3-5 minutes until the tart vinegar flavor has mellowed a bit and the sauce has thickened. 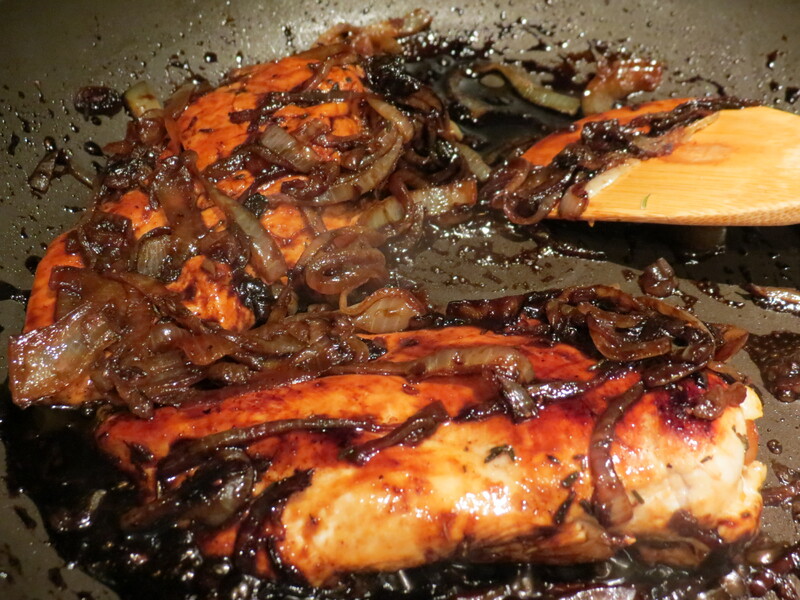 Add chicken and onion back to pan and coat with balsamic reduction. Serve immediately and prepare to be praised for your delicious, yet oh-so-simple meal!